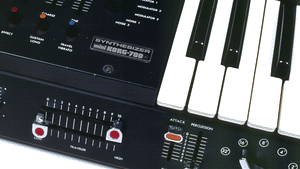 KitMonsters – Korg MiniKorg-700S. The music makers’ guide to making music. 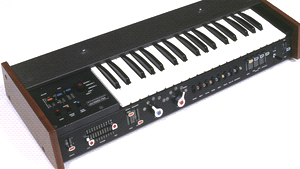 Known for its fat bass sound as well as super highs, the MiniKorg 700S was based on the MiniKorg 700 but with an extra effects panel that includes vibrato, sustain and chorus. It has a 37-note keyboard, three ring modulators and two oscillators. Made in 1974 it’s been used by artists such as Martyn Ware of The Human League, The Cure and Stevie Wonder.